The Michigan scalding burn injury lawyers at our firm represent clients who have suffered serious burn injuries. Many of these scalding burn injury victims are infants and toddlers. In fact, in scalding burns from hot liquid are the most common type of burn in infants and toddlers. The manner in which a burn injury will heal often depends on the source of the burn. For example, scalding burns from hot liquid, like coffee or tea, are often limited to small areas and have a better chance of healing than an electrical burn injury. Scalding burns from intensely hot bath water often cover larger areas of the body and may have a much more difficult time healing, leaving the child with significant scarring and disfigurement over a larger portion of the body. Baby sitters, caretakers, and others who fail to properly supervise a child, fail to test the bath water, or fail to keep hot substances away from an infant are often negligent can be held responsible under Michigan law for the scalding burn injuries to the child. Settlements for burn victim often include money damages for pain and suffering, compensation for the disfigurement and scarring, and funds for past, present, and future medical expenses. 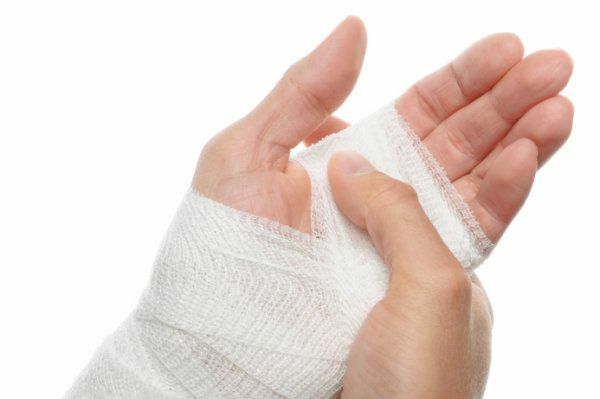 To learn more about the laws in Michigan scalding burn injury accidents, you should request our free book, "The Ultimate Guide To Injury Cases in Michigan" which includes The "Biggest Mistakes That Can Ruin Your Injury Case." We will send it out immediately. We will represent you in your Michigan scalding burn injury case under our No Fee Promise. This means that you will not be charged any legal fees whatsoever unless we obtain a settlement or recovery for you. You have absolutely no obligation for legal fees unless we win your case. If we do not obtain a settlement for you, you owe us nothing! If you or your child were injured in a Michigan accident resulting in scalding burns, you should contact our Michigan scalding burn injury lawyers to determine whether a Michigan injury claim should be pursued. We have obtained significant settlements and verdicts for scalding burn injury clients. Call us now at (800) 606-1717 to speak with one of our experienced Michigan personal injury lawyers about your case. Our office will start working on your case immediately and begin gathering witness statements and evidence to prove and win your case.